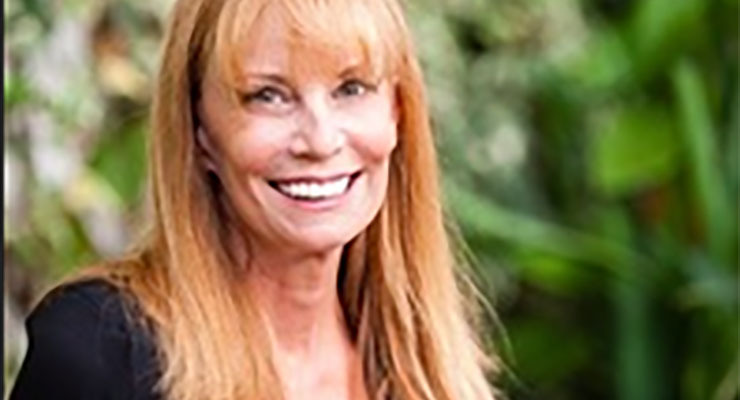 Former “Days of Our Lives” (Days) head writer Dena Higley’s penchant for interacting with fans online may pay off in the form of an idea for her next career move. Higley has been active on social media since her ouster from the NBC sudser earlier this week. There’s nothing like being let go from a job to give you unexpected free time. And so it goes for Higley. Given the breakneck production schedule on daytime soaps, Higley might be a bit shellshocked, going from 60 to 0. 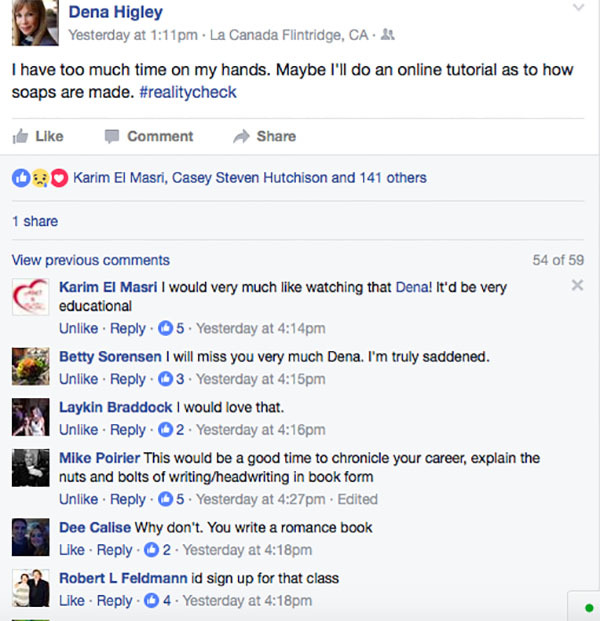 She remarked on her Facebook page that perhaps she would use her newfound down time to give fans a web-based course on soap opera production. I Know the Answer, Professor Higley! Pick Me! Her Facebook friends, many of them fans, responded quickly and enthusiastically. They overwhelmingly said they’d love a chance to learn about the process of brining a soap to screen. Scroll down to see the post and some of the reaction to it. Days announced earlier this week that it let go Higley from the position of head writer. The show replaced her with soap scribe Ron Carlivati. Higley has been fired and rehired by Days twice before. Previous ArticleHow to Help Save #Days in 7 Easy Steps! Next Article Soap Cities Spec: Could Tyler Christopher Find a New Home in Salem? Given Higley’s pention for destroying shows, why would ANYONE want her ANYWHERE near ANYTHING to do with AMC & OLTL? Or ANYOTHER soap period?